I will stop making Japanese food all the time at some stage. But not tonight! 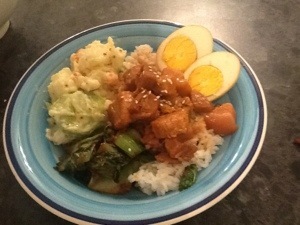 Here we have pork belly stewed in soy sauce, mirin, sake etc with an egg on rice with some garlic and soy pak choy and Japanese potato salad. Oishii desu. 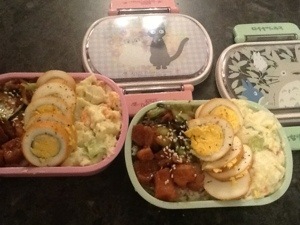 And lunch packed for tomorrow.